While Verghese Kurien will be remembered as India’s premier milkman, one who revolutionized milk cooperative movement at the moment when India was still consolidating itself as a nation, one mustn’t forget his collaboration with the ace filmmaker, Shyam Benegal, for the production of Manthan (1976), a tribute to the resilience and innovative spirit of the nonagenarian who passed away. In a latter documentary produced by Amul, Mamuli Ram (1997), Rakeysh Omprakash Mehra, who was yet to make a name and fame in Bollywood, narrates the story of the First Milk Cooperative Society, set up in 1946, under the chairmanship of Tribhuvandas Patel at Hadgud village in the south of Anand city, Gujarat. In a recent piece, Benegal narrated his encounter with the Amul brand while working with an advertising agency. 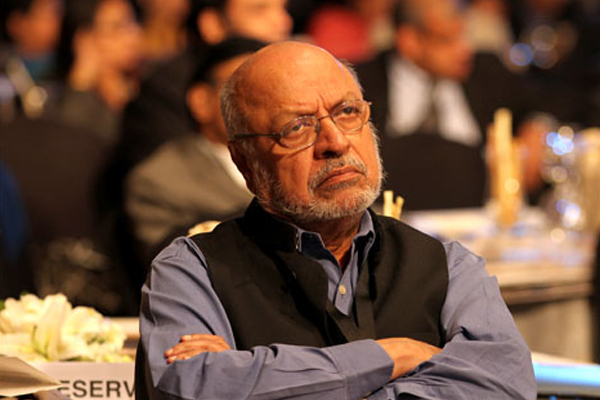 In 1972-73, Benegal made a couple of documentary films for spreading the message of Operation Flood around the country. As Bengal wanted to carry the message to a larger audience, the idea of the film first germinated during a conversation between Kurien and Benegal. At Kurien’s suggestion, the money for the film was collected from each of the 50,000 members of Gujarat Co-operative Milk Marketing Federation. Each of the members was asked to contribute rupees two toward the cost of making the film. That was how India’s first co-operative feature film was made. Once released, the farmers from Gujarat thronged the theaters in truckloads to watch their film, making it an instant success. In Manthan, Dr. Rao (played by Girish Karnad), a young veterinarian surgeon, comes to a village in Gujarat to set up a dairy co-operative with the help of the villagers. Kurien himself arrived in Anand on 13 May, 1949, where the district union office of the co-operative was located. Rao finds a few takers for his idea as the villagers are already contracted to sell their produce to a local dairy businessman, Mishraji (enacted by Amrish Puri), at a lower-cost. In a village without even a primary health-care center, the villagers gradually start trooping in to consult the veterinary doctor for human ailments. As a bond is created between the doctor and a few villagers, Dr. Rao manages to enlist the first members of the co-operative. Beneath the apparent struggle to dismantle the entrenched interests of moneylenders, middle-men and local feudal chiefs, who had a monopoly over the dairy business, there is the story of grassroots social transformation. In a meta-narrative, educative moment in the film, a documentary is shown to the villagers to enlighten them about dairy-processing in Anand. However, there is a parallel narrative of Nehruvian state-secularism in the documentary film as the voice-over proclaims: “In the milk centers, religion, class, and caste-divisions are erased. People from all castes wait in the same line to deposit their milk.” In fact, the core of the film is constructed around the question of untouchability. In a debate between Dr. Rao and his assistant, Deshmukh, Rao makes it clear that the formation of the co-operative must enable the poor dalits of the village to live a life of economic freedom and dignity. So long as the dalits stay away from the co-operative, the purpose of their initiative would remain unfulfilled. While the success of the Amul brand is often coded as a narrative of economic progress and, also, as a victory against the might of multinational corporations, Manthan highlights an aspect that is often glossed over: Kurien’s movement was not merely to change the way farmers thought of marketing the milk they produced but to initiate a complete churning of the social structure as well. In a poignant scene in Mamuli Ram, Tribhuvandas Patel adds the milk from an upper-caste member of the co-operative to that of a Muslim member and an untouchable-caste member to explain that it is the money earned that should matter and not who produced the milk. If Kurien led an economic revolution through the setting up of milk co-operatives, Benegal’s film captures the embedded social revolution that transformed the consciousness of its members as well. Kurien’s unceremonious removal from the Gujarat Co-operative Milk Marketing Federation (GCMMF) in 2006 might suggest that his revolutionary ideals of social transformation through secular humanism had reached its sell-by-date. It had clearly sent out a signal that Nehruvian secularism was an obsolete idea in the new market-led development milieu in Gujarat in which social transformation will no longer be the prerogative of profit-making multinational corporations. In retrospect, the coincidences of Kurien’s exit and neoliberal developmental initiatives in Gujarat are difficult to miss. Kurien and Benegal’s aesthetic collaboration is particularly relevant for reminding us that development has a social dimension to it as well. Mosarrap H. Khan is a doctoral candidate in the Department of English, New York University. He is an editor of Café Dissensus.